We at abracadabra parties are a group of children’s entertainers in Nottingham, Derby, Leicester and Chesterfield. Follow the about page tab, for a more detailed breakdown of each of us as kids magicians in Nottingham, Derby and Leicester. With over 20 years combined experience, we are passionate about making your kids having a brilliant party, and you – a super stress-free party! We also have experience as a iPad Magicians, wedding magician, magician in Birmingham and magician for weddings. 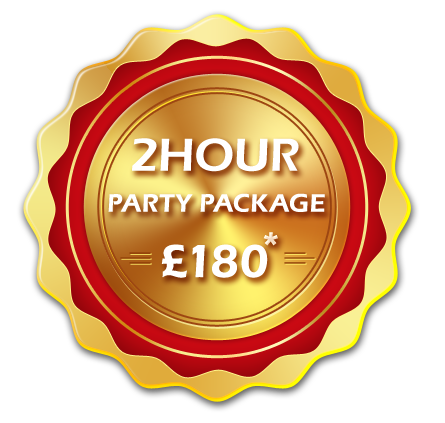 Simply put, we offer super-stress-free 2 hour parties for children of all ages. These are packed with magic, puppetry, music, games, prizes, fun and laughter. We also offer 45 minute magic and puppet shows. We perform at birthday parties, fetes, fairs, after-school parties, school shows, christenings and weddings. Follow this link for some reviews. We primarily cover the Midlands. This includes the Nottingham area and its surrounding areas including Newark, West Bridgford, Mansfield, Gedling and Ruddington. We also cover the Derby area including Chesterfield, Long Eaton, Ilkeston, Belper and Alfreton. We also cover the Leicester area, including Ashby De La Zouch, Braunstone, Coalville, Loughborough, Oadby. Because we work with many children’s entertainers around the Midlands we will try our best to accommodate your party even at the last minute. Usually due to demand we get booked up a few weeks/months in advance.